It is funny when the sun starts to shine on my funk. Lent always comes at a good time of year for me, a time when it is EASY to recognize the ways I am broken and to look them square in the face. The Februaries will do that to me. Make me terribly introspective, a little bit oppressed. But lent always leaves me hopeful too. I see the resurrection rising, the way the broken in me meets the fullness of Easter, it is the only true way to WHOLE. Today all I saw were the signs of hope on the horizon. It started with my girl. We had a tea party and lemon cookies for breakfast. Sometimes you have to do that. 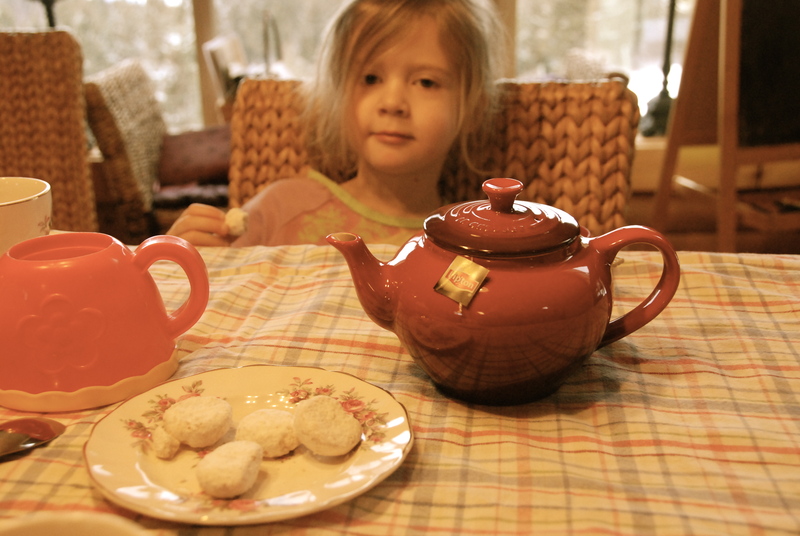 We used the good china, she taught me that they are not cookies when ‘tea party-ing’…they are biscuits then. It was the cutest thing I’ve ever seen. Next I had some extra quiet time, E is colouring like a mad woman these days. All day, every day. My Lenten devotional is GOLD so it worked out well for both of us. We had a short walk in the woods. The wind whispered what sounded like a song. 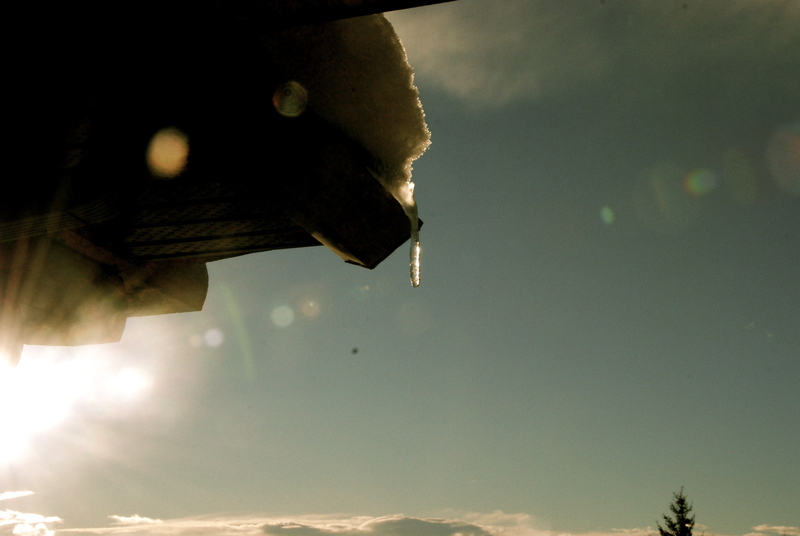 The icicles were dripping, promising me a far off spring. We picked up the boy from school and he picked up his trophy again. Note to all parents: A trophy instead of a goody bag at a party? THE BEST IDEA EVER. He tells everyone he got it ‘from hockey’. He refused to make a wish the other day on account of the fact that he didn’t need to wish, because “I already have this (the trophy)”. The kid hasn’t put it down yet. So often the secret to hope is just about lifting up our eyes. Taking your eyes off yourself, your broken ways, the way you missed the mark today. The secret of hope is to focus on the fullness coming, the way you are getting closer each day. Today, was the sort of day I want to capture and keep somewhere. Somewhere I can open it again when the fog rolls back in, when I look down too long and stumble over my own feet. 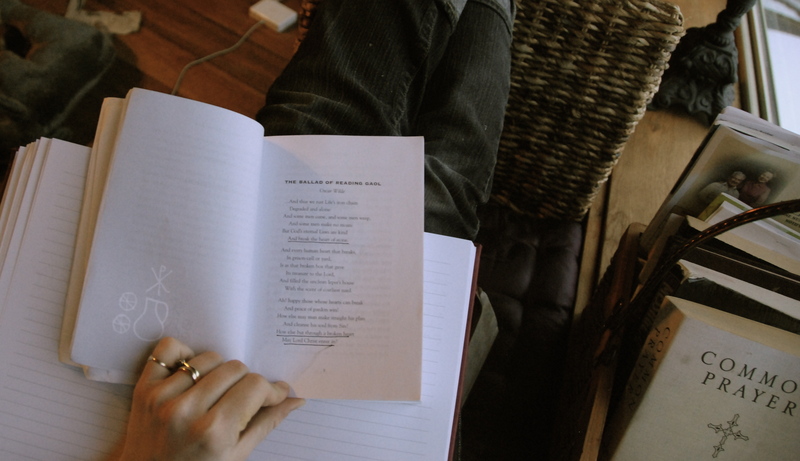 For when, the miracles of each moment, sink into the dominion of the ordinary. This entry was posted in Mamma Love, One Thousand Gifts by melissafed. Bookmark the permalink. Thanks Kerri! AND YOU NEED TO TURN ON YOUR COMMENTS! I read your awesome piece the other day (the one about the sliver of sun light) and meant to come onto facebook and tell you but forgot!!! 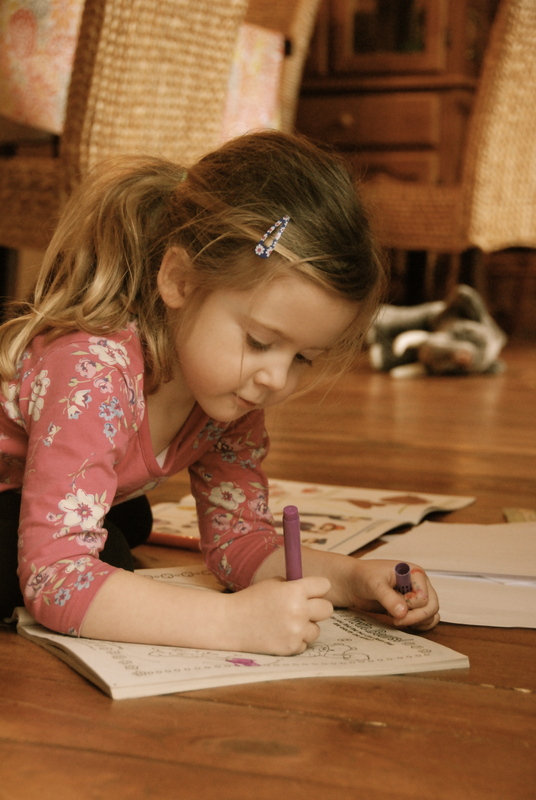 Keep at it my friend…your writing is a GIFT! Just because of this comment we had another one today. 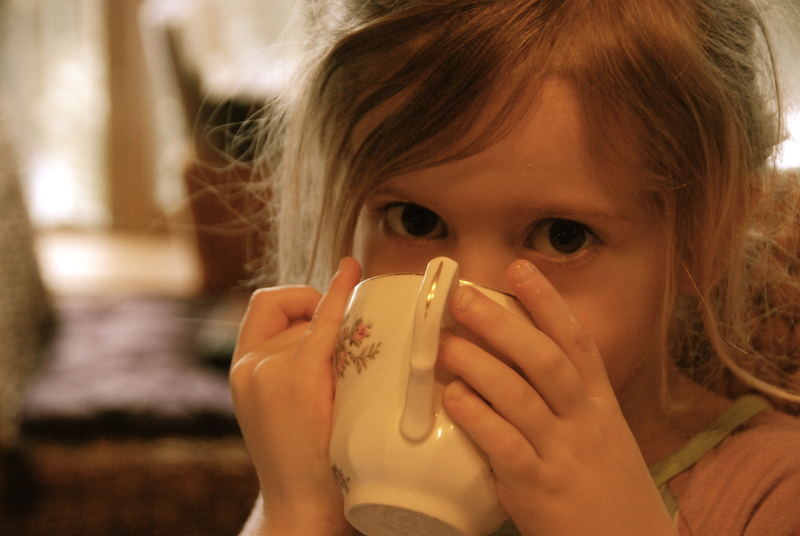 Wish I could have tea with your four year old…such a precious girl. Her 16 year old self is even more so though so aren’t we blessed? 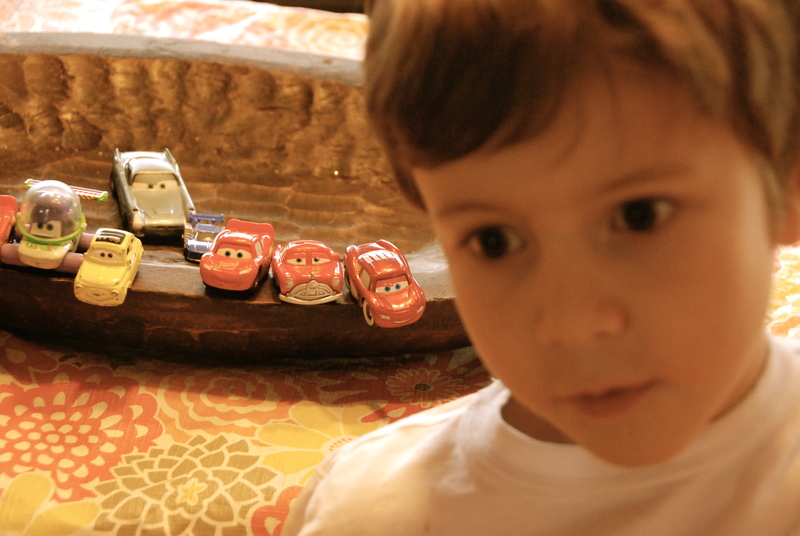 From FMF – and how I love your post! Absolutely fulfilling and meaningful. Melissa, these stories of your children are so dear — the biscuits! the trophy! How sweet. I love these tales of hope-filled joy that you’re storing up and, too, understand those dark places, so I adored this line: “The secret of hope is to focus on the fullness coming, the way you are getting closer each day.” How I need to remember that. Thanks so much for stopping by Ashley! Will be visiting your place again soon…BUSY WEEK. Thanks so much Andrea! Look forward to getting to know you a little! Ah, February and March… the longest months of the year it seems. Love this. 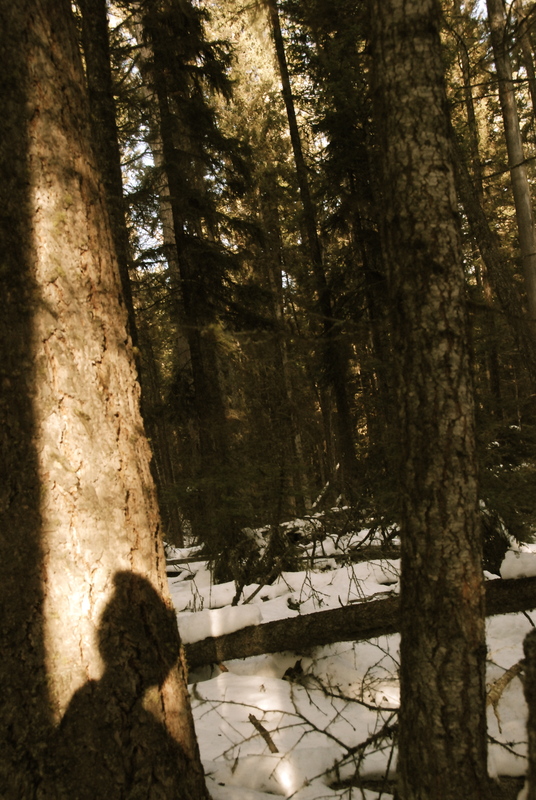 All this tea party-ing, coloring, Lenten journeying, and woods-walking. I think you are a kindred spirit.